A black and white negative of Jane Holliday playing outside. 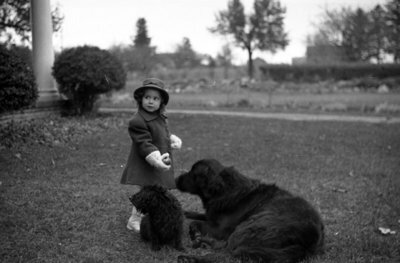 In this view she is standing with two black dogs lying in front of her. Jane Holliday, c.1935, Marjorie Ruddy. Whitby Archives A2013_040_069E.